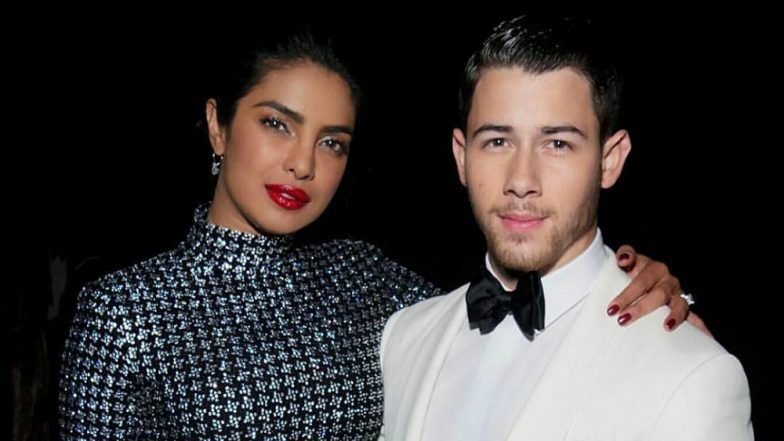 Los Angeles, April 11: Actress Priyanka Chopra Jonas and her husband Nick Jonas have been announced as part of the Met Gala Host Committee, which includes such names as Lena Waithe, Katy Perry, Jared Leto, Jennifer Lopez and Alex Rodriguez. Priyanka took to Instagram to reveal that she and Nick are on the committee for this year's Met Ball, in a post looking back on their journey from when they met. Priyanka Chopra and Nick Jonas' New Pictures Are Cute and Stylish! "From walking the prestigious carpet for the first time, to meeting my husband and many friends for life," the 36-year-old actress captioned the post, revealing their involvement in the affair. "Nick and I are honoured to be on the Benefit Committee for this year's Met Gala. Looking forward to the first Monday in May," she added of the May 6 event. The couple walked the Met Gala red carpet together just two years ago, and it had set the pace for more buzz around their relationship. Other celebrities on this year's committee for the event include Bradley Cooper, Blake Lively and Ryan Reynolds, Chadwick Boseman and Lupita Nyong'o, according to The Hollywood Reporter. The Metropolitan Museum of Art's annual Met Gala is New York's most glamorous benefit of the year.